Theatre Department Presents "Next Fall"
Truman’s 2011-2012 Kohlenberg Lyceum Series will open with Vox Lumiere’s “The Phantom of the Opera” at 7:30 p.m. Oct. 26 in Baldwin Auditorium. Vox Lumiere’s interpretation of “The Phantom of the Opera” combines music, theatre and silent film into a 21st century version of the classic. The story is based upon the novel written by Gaston Leroux and focuses on the masked and facially deformed Phantom who haunts the world’s most famous opera house. The Phantom causes murder and mayhem in an attempt to force the management to make the woman he loves a star. This performance features thrilling new music and a breathtaking live performance that meld with the beauty of the original silent film. Vox Lumiere has won five first-round Grammy nominations, two 21st Century Filmmaker Awards and was nationally televised in a PBS special. Tickets are free for students, faculty and staff and are available now. Students may pick up their tickets at the Student Activities Board Office in the Student Union Building. Faculty and staff may acquire their tickets at the information desk in the Student Union Building. General admission tickets for the event cost $7 for all ages and are available at the Truman Cashiers Window in McClain Hall or downtown at Edna Campbells. Truman’s New Music Festival will take place at 7:30 p.m. Oct. 27 and 1:30 p.m. Oct. 28 in Ophelia Parrish Performance Hall. Christopher Biggs, the winner of the 2011 Truman State-MACRO Composition Competition, will be featured throughout the festival as guest composer. Biggs is a widely recognized composer of multimedia and acoustic music. Biggs will also speak about his music throughout the festival. Truman’s Music Department, Phi Mu Alpha Sinfonia, Sigma Alpha Iota and The Mostly Live Composers Society will sponsor the festival. Both events are free of admission and open to the public. Additional information on Biggs can be found at www.christopherbiggsmusic.com. For more information regarding the festival, contact Warren Gooch at wgooch@truman.edu. Truman’s ROTC Alpha Team took first place at the regional Ranger Challenge competition in Fort Leonard Wood, Mo. Twenty-two teams from 10 schools competed in this year’s Ranger Challenge. Truman brought their Alpha team and Bravo team of nine men each and a women’s team of five female cadets. Bravo team finished seventh overall, beating four alpha teams from other schools. The female cadets placed third in their category. The Challenge consisted of 10 events performed Oct. 14-15. Events included were the Army Physical Fitness Test, weapons assembly/disassembly, an obstacle course and a 10K foot march performed in full gear. The womens’ teams competed in a knot-tying event in lieu of the one-rope bridge. Alpha team won four events and placed in top three for nine of the 10. Members of the Alpha team are: Captains Zach Hayes and John Heisler, Clayton Hancock, Travis Cain, Kyle Ippenson, Josh Webster, Taylor Hamilton, Alex Fowler and Jared Dietrich. This is the second year in a row that the Alpha team has placed first. The SERVE Center will partner with Greek Life and the Student Recreation Center to host various activities during the annual “Big Week of Giving” taking place Oct. 31-Nov. 5 to give back to food disparity in Kirksville and Adair County. The donations and canned goods collected will be given to the North Central Missouri Food Bank and dispersed to the needy in Adair County. On Oct. 31, the campus will dress up and go trick-or-treating for canned goods. On Nov. 2, there will be walking tacos provided on the Quad for donations. Canned good collecting will take place in the Student Union Building all week long. A volleyball tournament will take place 6-11 p.m. Oct. 31-Nov. 3 in the east court of the main gym in the Student Recreation Center. Playoffs will take place the afternoon of Nov. 5. Womens, mens and co-ed teams are welcome. Teams may consist of 6-10 players. The cost per team is $20 and will be used in the form of donations. Registration will take place Oct. 24-28 in the Student Union Building. Donations will be collected upon registration. Due to time constraints, the tournament will be a single elimination. The week will end with the final canned goods count at Fireside Friday on Nov. 4 beginning at 3 p.m.
For more information regarding “The Big Week of Giving” contact The SERVE Center at serve@truman.edu. Truman is participating as a Pioneer Institution in the Higher Learning Commission’s Pathways Demonstration Project. The University’s work in the project examines achievement of three University-wide student learning outcomes (critical thinking, leadership and healthy living) and the role of transformative experiences in that process. The project focuses on ways to enhance the achievement of those three learning goals in measurable ways. The University will issue a request for proposals that invites individuals and groups to submit plans for pilot projects focusing on one or more of the following outcomes: understanding and articulating well-reasoned arguments (critical thinking); demonstrating leadership (leadership); or living emotionally and physically healthy lives (healthy living). Members of the task force will host three sessions to provide information about the potential of these pilot projects, the work of each task force and transformative learning in these projects. The first meeting will take place from 2-3 p.m. Oct. 31 in the Student Union Building Room 3203 and will discuss critical thinking. The second will take place from 1:30-3 p.m. Nov. 1 in the Student Union Building Room 3202 and will discuss wellness. The third will be from 4-5 p.m. Nov. 3 in the Student Union Building 3201 and will discuss leadership. Those interested are encouraged to read the “Purple Papers” written by members of the task forces. They can be found at provost.truman.edu/resources.asp under links for the 2011 Summer Planning and Assessment. For more information, contact Royce Kallerud at kallerud@truman.edu for critical thinking, Adrien Presley at apresley@truman.edu for leadership, Evonne Bird at ebird@truman.edu for healthy living and Lou Ann Gilchrist at lcg@truman.edu for transformational experiences. Amber Johnson, associate professor of anthropology and chair of the Department of Society and Environment, recently donated the personal papers of noted archaeologist Lewis Binford to the Special Collections and University Archives Department of Pickler Memorial Library. Binford was one of the most influential archaeologists of the century. A dedicated scholar, he first became interested in cultural study upon joining the military. This led him to explore the cultures in France, Africa, Australia and Arctic. Binford created new methodologies for archaeological and anthropological studies and has had a profound impact on the way those fields are studied today. The Binford Collection consists of over 100 linear feet of material, including original manuscript files, field notes, photographs, maps, drawings, artifacts and other results of years of cultural study. The collection will soon be available for public use. 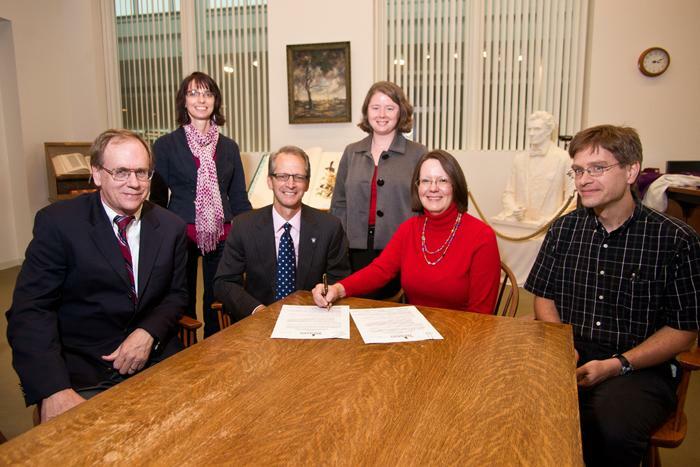 The signing of the Deed of Gift for the Binford Collection. Left to right: Richard Coughlin, interim provost; Janet Romine, co-director and head of Public Service of Pickler Memorial Library; Troy Paino, University president; Amanda Langendoerfer, head of Special Collections and University Archives; Amber Johnson, associate professor of anthropology and chair of the Department of Society and Environment; and Stephen Wynn, co-director and head of Technical Services. Twelve members of Blue Key and Cardinal Key service organizations participated in a project in Joplin, Mo., over midterm break Oct. 12-15. The group, serving through AmeriCorp, helped a woman move into her Federal Emergency Management Agency (FEMA) trailer after they discovered the house needed to be gutted and reset on its foundation. The students also planted six trees in the yard of the woman’s neighborhood. 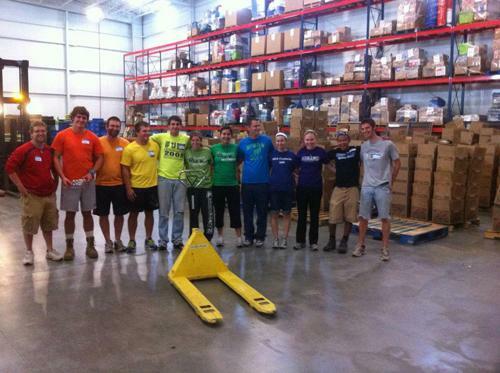 On their second day, they volunteered at a warehouse collecting and distributing supplies to people in need. They assembled 1,100 packages to be delivered to families still occupying FEMA trailers. The group spent their last day organizing books to send out to teachers in affected areas. Blue Key and Cardinal Key members in the warehouse where they assembled packages. From left to right: Camden Stockton, Russ Beckman, Nick Valleroy, Max Muench, Ben Weger, Sam Dozier, Nena Koseva, Seth Donaldson, Madeleine Keough, Elli Mathis, Clifton Ricana and Josiah Belzer. This year’s fall lab show, “Next Fall,” directed by senior Roxxy Duda, will be performed at 8 p.m. Oct. 26-29 in the Black Box Theatre on the 2nd floor of Ophelia Parrish. “Next Fall” by Geoffrey Nauffts takes a witty and provocative look at faith, commitment and unconditional love. While the play’s central story focuses on the five-year relationship between Adam and Luke, it goes beyond a typical love story. This timely and compelling new American play forces us all to examine what it means to believe and what it might cost us not to. This play contains strong adult language. Tickets must be reserved and are now available at the Box Office in Ophelia Parrish. Box Office hours are Monday-Friday, 10 a.m.-4 p.m.
To reserve tickets or to hear more information, call 785.4515. Admission is free, and the house will open at 7:30 p.m. on show nights for the 8 p.m. show. Each semester, the Truman Theatre Department requests play submissions from students. From that pool, the faculty selects one submission to be the student-directed lab show. The Elie Wiesel Foundation for Humanity is sponsoring an essay contest with awards granted up to $5,000. This annual competition challenges college students to submit essays on the urgent ethical issues that confront them in today’s world. Since 1989, the Elie Wiesel Prize in Ethics essay contest has encouraged students to write thought-provoking personal essays that raise questions, single out issues and develop rational arguments for ethical action. Full-time juniors and seniors are eligible to enter the contest. Students can create an account and submit their application, complete with essay and required entry information online. Deadline for entry is Dec. 5 at 5 p.m. PST. Contest guidelines can be found at www.ethicsprize.org. More information about the Elie Wiesel Foundation for Humanity is available at www.eliewieselfoundation.org. The Truman Public Relations Office is now accepting résumés for the full-time spring 2012 internship position. To apply, send a résumé, two writing samples and contact information for two on-campus references to the Public Relations Office, McClain Hall 202 no later than Nov. 11. For questions about the internship, contact Travis Miles tmiles@truman.edu. Students of the Health 440 class are hosting Sleep Awareness Week to promote the benefits of sound sleep on campus. The student representative plays a vital role in the protection and advancement of student interests, regularly consulting with the Board of Governors, the highest policy-making body of the University. Applications are due by 5 p.m. Oct. 28 and can be accessed through governors.truman.edu/images/Application%20Packet%202011.pdf. Nominations are currently being sought for the outstanding community member or agency that has worked closely with the University to promote public scholarship amongst Truman students. Nominations can be found at serve.truman.edu under “Community Partner Award Nomination.” They are due by 5 p.m. Oct. 26. Contact Lynn Dreisilker at led7877@truman.edu for more information. A luncheon will take place at 11:30 a.m. Nov. 3 to announce the winner. The Environmental Campus Organization (ECO) is hosting Sustainability Day to provide information and activities promoting sustainability. For more information, contact Ashley Jost at alj3737@truman.edu. Oct. 28- 8 p.m.-12 a.m.
Oct. 29- 8 p.m.-12 a.m. Contact Matt Magruder at mmagruder@truman.edu for more information. Lambda Pi Eta National Communication Honors Fraternity will host Beth Bednar who will be speaking about her book, “Dead Air.” It centers around the cold case file of Jodi Huisentruit, the Iowa anchorwoman who mysteriously disappeared before dawn in 1995. All majors are welcome to attend. Nov. 5-6 • St. Louis, Mo. To learn more about Native American Heritage Month, contact Smith at 785.4142. In celebration of Truman’s 25th anniversary of the mission change a series of programs have been scheduled to examine the question – Why a Public Liberal Arts & Sciences University in the 21st Century? Much has changed in higher education in the last quarter century and these presentations will offer an opportunity for the Truman community to reflect on our mission and share our thoughts on Truman’s future. Applications are now available for Foundation scholarships that have not yet been awarded for 2011-2012. They can be found online at secure.truman.edu/isupport-s/ and are due by midnight Nov. 1. To learn more, go to truman.edu and click on “Student Life/Money/Foundation Scholarships.” Applications for the majority of Foundation scholarships will be available in February for the 2012-2013 academic year. The Office of Citizenship and Community Standards will host a forum to discuss questions or concerns related to the Student Conduct Code and the conduct related processes. This is a revision year for the conduct code and the OCCS wants to hear the opinions of the campus community. 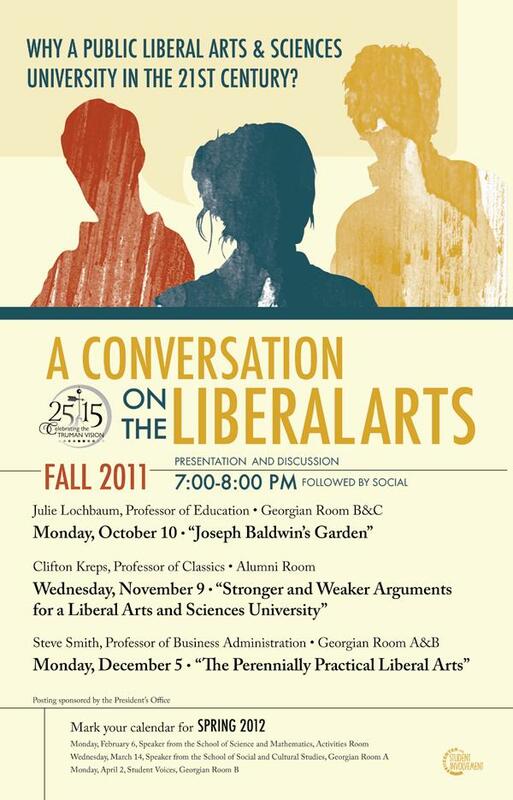 Faculty, staff and students are encouraged to attend the forum at 4:30 p.m. Nov. 1 in the Student Union Alumni Room. Visit conduct.truman.edu/docs/SCC%20CHAPTER%208%20June%2020,%202009.pdf to see the current conduct code. The Critical Language Scholarship (CLS) Program provides U.S. citizen undergraduate and graduate students the opportunity to go overseas for an intensive summer language institute in 13 critical need foreign languages for seven to ten weeks. Interested applicants may visit clscholarship.org. Students from all academic disciplines are encouraged to apply. Applications are due Nov. 15. Antifreeze is in your toothpaste? An exhibit featuring chemistry and its everyday uses is currently on display in the Library Gallery until Nov. 28. The International Year of Chemistry – 2011 will celebrate the achievements of chemistry and its contributions to the well-being of humankind. Learn more about it at www.chemistry2011.org/. Rebecca Harrison, professor of classics, had her post-classical Latin website (www2.truman.edu/~rharriso/) featured in the September newsletter of the Medieval Latin Studies Group, a sub-group of the American Philological Association. The APA is the major national organization for classics. Harrison’s website focuses on significant non-fiction works and is designed for Latin students and teachers, scholars and students in other disciplines who want to look at the texts in the original language and as a source of texts and materials for colleagues in medieval Latin. Psi Chi, the Psychology Honors Fraternity, is hosting a Graduate School Expo from 5-7 p.m. Oct. 25 in the Student Union Building Georgian Room B. The Annual Benefits Fair will take place from 8:45 a.m.-4 p.m. Oct. 26 in the Student Union Building. 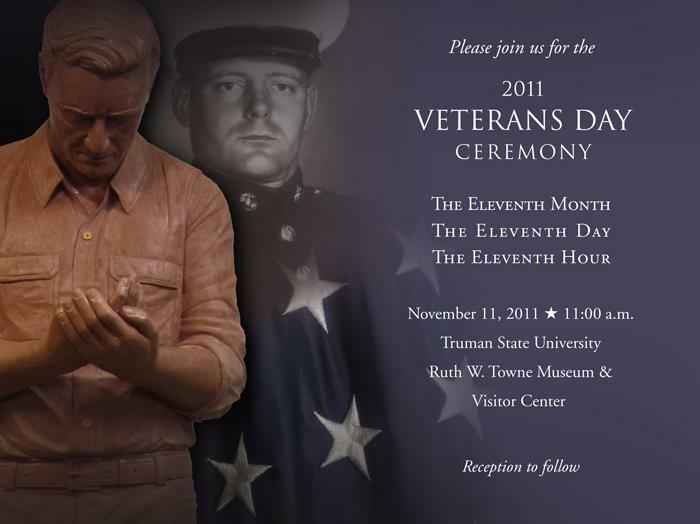 For more information, go to hr.truman.edu/benefits/. The deadline to submit applications for traveling funds to participate in the National Conference of Undergraduate Research is 4 p.m. Oct. 26. Applications can be found online at osr.truman.edu/ncur. Students must submit their applications along with their abstracts to Magruder Hall 3132. Up ‘til Dawn Letter Writing Campaign will take place from 6 p.m.-2 a.m. Oct. 28 in the Student Recreation Center. Delta Sigma Theta Sorority, Inc., will sponsor the Halloween Breast Cancer Walk from 11 a.m.-2 p.m. Oct. 29 in Pershing Arena. There is a $3 participation fee. Snacks and games will be provided and those attending are encouraged to dress up for the costume contest. For more information contact dstzetazeta@truman.edu. The Student Athlete Advisory Committee (SAAC) is hosting their annual food drive for the Kirksville Community. An upcoming drop off will be during the women’s soccer game from 12:30-2 p.m. Oct. 29. Zombie Zumbathon will take place from 1-3 p.m. Oct. 29 in the Student Union Building Activities Room. 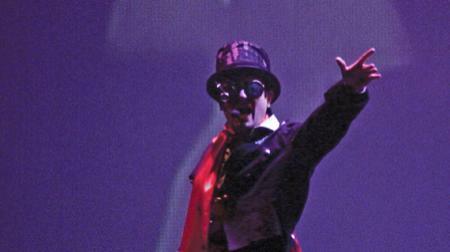 The event will be taught by a certified Zumba instructor and will feature a costume contest. Prices are $3 for students and $5 for adults. The BNB Haunted House will take place at 8:30-11:30 p.m. Oct. 29 and 7:30-10:30 p.m. Oct. 30-31 in the basement of Blanton-Nason-Brewer Hall. The Student Recreation Center will host Zumba Spooktacular from 4-5 p.m. Oct. 31 on the Quad. Attendees may wear their Halloween costumes and win a prize. Trick-or-treating through the residence halls will take place from 6-8 p.m. Oct. 31. Faculty, staff and community members can bring their children. This event is free and sponsored by the Residence Hall Association. The deadline to submit McNair Program applications is Nov. 1. They are available online at mcnair.truman.edu. Contact Sarah Hass, program coordinator at 785.5393 for additional information. The American Association of University Professors (AAUP) will hold its monthly meeting at 12 p.m. Nov. 3 in the Student Union Building 3201. Contact Marc Becker at marc@truman.edu or call 785.6036 for more information. The Student Activities Board (SAB) will host their Fall Drive-In showing “Captain America” beginning at 7 p.m. and “The Help” at 9:30 p.m. Nov. 5 in Pershing Building Arena. This event is of no cost and open to all. Free popcorn, soda and ice cream will be available. Alpha Phi Omega’s national fundraiser, Ugly Man on Campus, will take place from 7-9 p.m. Nov. 10 in Baldwin Hall Auditorium. Tickets will be $2 in advance and $3 at the door. They may be purchased from 10 a.m.-2:30 p.m. Oct. 31-Nov. 4 and Nov. 7-10 in the Student Union Building, McClain Hall and Violette Hall. Penny Wars will be hosted in the same locations.